Who wouldn’t want to save money by doing almost nothing? Energy bills are often daunting and accompanied by high stress, but they don’t have to be. Here are some simple tips to make sure you are not overspending on your electricity and save energy. Solar energy is becoming more and more trendy and for good reasons. 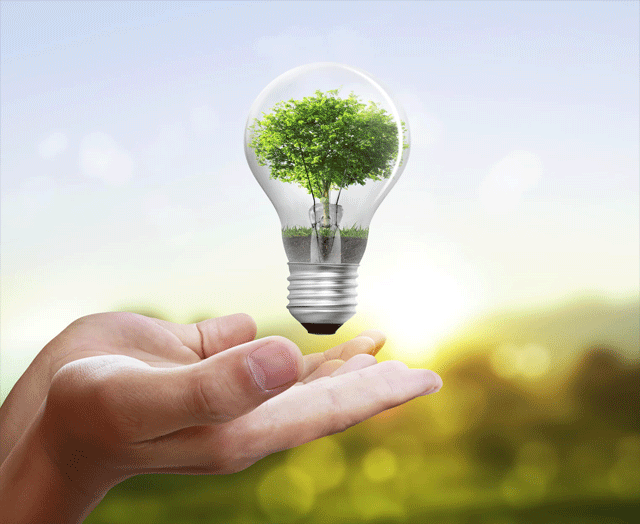 Switching to this form of energy can provide you with significant savings from day one. There is little to no down payment to switch to solar. With a solar energy plan, you will pay the energy provider directly rather than the utility company, thus saving you even more money. Not only are they highly irritating, but dripping faucets can also cause a considerable increase in your energy bill and waste gallons of water. It may seem small, but this is one thing you can fix for significant savings. Often when people get a new fridge, they will keep the old one as extra storage rather than getting rid of it. Although it may seem useful in providing you with extra space, it is essential to consider if it is worth it with how much this single appliance increases your electricity bill. Older fridges, especially, consume vast amounts of energy, much more than newer ones. Newer refrigerators cost close to nothing to run, but old fridges can cost you several hundred dollars each year. You may want to consider retiring your old fridge, primarily if you hardly use it. Obviously, you are going to need to use the oven for things that you cannot microwave. You should not, however, use the oven for things you could easily microwave instead. If you use the microwave, you will save about 80% of the energy you would have used through heating the oven. Make sure your windows and doors are well sealed. If they are not, it will take extra energy to heat and cool your home. Your energy will be wasted much like your money. An excellent way to save on energy is to adjust your thermostat when you are not using it. You can set it back 10 to 15 degrees when you are asleep or not at home. Doing this can save you money that you would otherwise be wasting. You could also look into installing a thermostat that you can adjust from your phone or schedule to make sure you are genuinely saving as much as you can. One way to save energy that may seem obvious is to shorten your shower time. Shaving off even a few minutes each day can add up and help you save significantly. Although it may be tempting to take your time in the shower, it is important to consider what it really costs you. I know you have probably heard this one a lot, but there is a reason for that. Only let the water run when you need it to, but turn it off when you are doing things such as brushing your teeth or loading a dishwasher. Try to minimize your water usage as much as possible. It is so easy to turn off the faucet when you are not using it, and it is just another way to save money you would usually be wasting. This tip is one that is so simple, but so forgotten. Believe it or not, a lot of your devices are sucking up your energy even if you are not using them. Remote control and voice-activated devices especially waste energy. Even when they are not in use, they are waiting to be activated. You can save money by unplugging your devices at night or when you are not home. Another option is to connect several devices to a power strip so that you can turn them all off at once, increasing efficiency. You could also look at getting smart power strips that cut off the energy when the devices are not in use. Unfortunately, not everybody is overly familiar with their energy plan. It is essential to make sure you are getting the best deal and lowest energy rate possible. There are several plans to chose from, and it is easy to switch plans or providers if you are unhappy with your current plan. Make sure you are always up to date with what is happening with your energy.